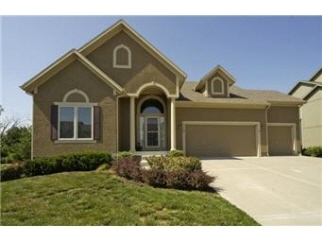 Description: Compare to new home! Lightly lived in and immaculate! Backs up to greenspace, pond and horses. Kitchen w/walk-in pantry, breakfast bar, hardwoods & upgraded appliances inc:refrigerator. Open great rm w/fireplace & wall of windows. Master suite + 2nd bedrm on main fl. Fin bsmt w/rec rm, bath & 2 bedrms. Screened deck w/serene views. A great home!